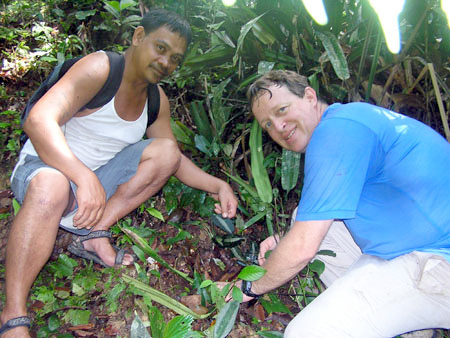 Jeland and Scott inspect a Schismatoglottis sp. that they found. There were many Schismatoglottis at Pelagus and most of them are new species.